We welcome your application. Join with other members of the community to help us make a difference. Though our annual showcase event is the Winterfolk festival in February, our work is ongoing. We appreciate the help of good volunteers year round. If you have any questions prior to submitting the form, please send an email , and we will try to respond quickly. We look forward to working with you. Audio Mixing / Lighting Technician – Mixing sound and lighting during performances. Stage Managers – Ensure artists check in pre-show, signage and decoration are in place, check tickets, usher and assist patrons. Production Crew – Set up and tear down stages quickly between sets. 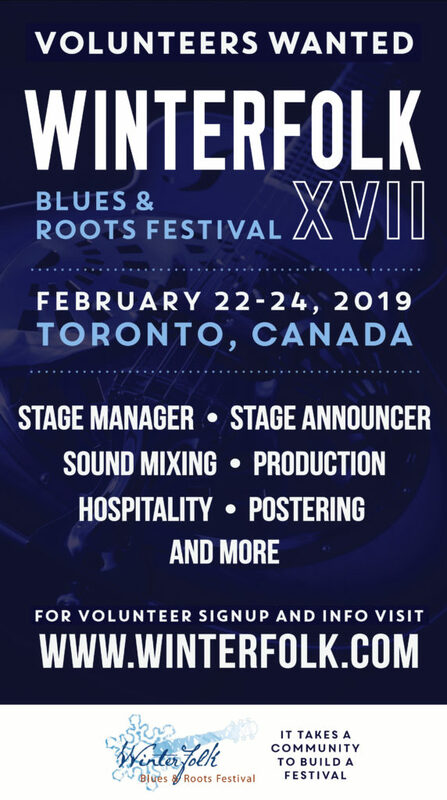 Stage Announcers / Emcees – Introduce artists onstage – great opportunity for radio personalities to plug their show, but all are welcome to apply. - Winterfolk cannot guaranty where you will be assigned, and will do our best to accommodate preferences, but ultimately placement will be where needed most.